I usually don't like to speculate too much about what's going on behind the scenes of any given MMO in terms of finances and player numbers, since we just don't have any useful information most of the time and it feels a bit pointless to simply make random guesses. I have been doing some thinking about the success/failure of the two Knights expansions lately though. With the release of Ossus it feels like we've finally left them behind for good and it's interesting to look at their influence in retrospective. Also relevant: It was only recently that I stumbled across this post on popular blog Ask a Game Developer from a year ago in which the writer states that based on inside information they have, SWTOR has really managed to turn things around in the past couple of years and is now considered a financial success. Now, that information by itself appears to be a few years old already, but I still found it interesting that they explicitly state that SWTOR exceeded its projected targets for 2014 by 20 million dollars. What happened in 2014? Most notably this was the year before Knights of the Fallen Empire, and it featured three large content updates: Galactic Starfighter, Galactic Strongholds, and Shadow of Revan. We also know from a later statement in EA's financial reports that after KotFE's launch, subscriber numbers were higher than they had been in nearly three years, so subscriptions in 2014 can't have been particularly high. Where did all that money come from then? 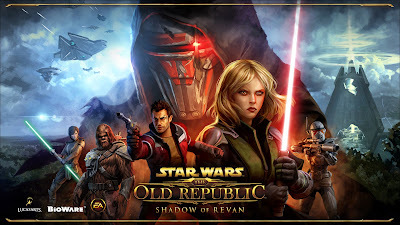 I also fully expect that Shadow of Revan drew in a lot of players - even if I think that people overrate it in hindsight, I have no doubt that Revan's name alone must have generated a good amount of interest. SoR was also the last expansion (to date) which required a separate purchase to play, which I'm sure was another thing that added nicely to Bioware's coffers. Now, this big success in 2014 certainly adds an interesting perspective to the release of Knights of the Fallen Empire. I always wondered how Bioware got EA to back that expansion with a big Blur trailer, as that's not how you treat a property that's supposedly been nothing but a failure. Clearly the game's performance just pre-KotFE inspired an unexpected increase in confidence. And then came the launch of Knights of the Fallen Empire itself. It doesn't seem to have accumulated enough proper reviews to earn a metacritic score, but I know I wasn't the only one who loved it. Its overall reception was definitely positive. While trying to find more reviews, I even came across one from a gold-selling website (which I'm obviously not going to link), which happily declared the expansion a big success simply based on the amount of people who were suddenly looking to buy credits for the game. Sure, there were grumblings about the lack of new group content from the beginning, but at that point it had only been a year since Shadow of Revan, so there was plenty of time for Bioware to still add some, right? And as mentioned above, EA themselves were pleased with the bump in subscription numbers. But what happened then? The monthly story chapters were... interesting, but not enough to get the flood of more casual players that had jumped back in for KotFE's launch to stick around. More and more long-time players became disgruntled with the lack of new group content to keep them busy. The story direction itself was also received less and less warmly over time: After my own initial enthusiasm for the launch chapters, I soon found myself saddened by the direction Bioware was taking my character and confused/annoyed by the lack of logic when it came to some of the plot's core tenets. 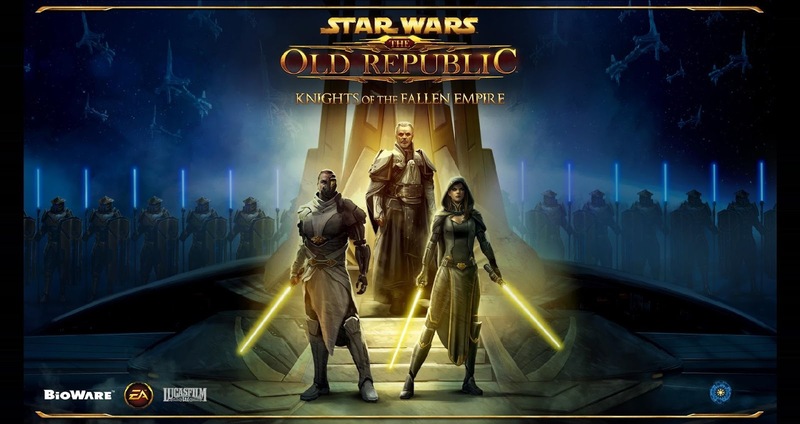 Mid-2016, after the last few KotFE chapters were released, EA explicitly called SWTOR out in its quarterly financial report for causing a noticeable decrease in subscription revenue for the company. In June 2017, Creative Director Charles Boyd actually took to the forums and explained that all the negative feedback they received about KotFE caused them to drastically shorten and condense KotET - originally, the "Knights of" story had been meant to form a whole trilogy, with each "season" similar to KotFE in length. However, he then quickly back-pedalled somewhat by saying that it was all just an issue of pacing and that overall, the stories of KotFE and KotET were well received and had made them their "most successful expansions by a very significant margin". Now, I obviously wouldn't accuse Charles of lying, but especially that second comment feels a lot like we aren't getting the whole story. I understand that the whole point of the conversation in that forum thread was to show that Bioware cares about player feedback, but the claim that they basically abandoned the KotFE/KotET model just because of some forum posts despite of it being super successful rings... hollow. Presumably it was successful in some way, such as number of people who subscribed just to play through the story, but you don't just change a winning team. With that in mind and looking at just how quickly Bioware course-corrected with Knights of the Eternal Throne, it's hard to believe that the new direction wasn't having a negative effect on their bottom line somehow. As for what's been happening since then... this is where we're back in true "nobody knows" territory. Story aside, the original introduction of Galactic Command was probably the single most harmful change ever made to the game and cost them a lot of veteran subscribers. Since then, EA has abstained from mentioning SWTOR in its financial reports or at E3 in a positive or negative way, though as previously mentioned on this blog, the last two years have felt somewhat light on new content releases. I think the next expansion announcement will give us a better indication of where are are right now. For example, will EA back it with any sort of marketing (trailer)? I'm not fussed about these either way, but it would give an indication of how much money the company is still willing to put behind the game at this point. And of course there's the question of the scope of 6.0 - will it be big and make everyone feel like the long wait with reduced content updates will have been worth it? Most people seem to expect the big reveal to come at Star Wars Celebration in April, so we should find out soon enough. EA seems to have adopted the games as a service for everything, and the Ko-series is pretty much exactly that. Not sure what would be considered "big" in that regard. Likely not in the vein of say, WoW or EQ, but more perhaps like what Warframe delivers? And yeah, I wouldn't expect a WoW-sized expansion for SWTOR, but at this point something similar in scope to Hutt Cartel or Shadow of Revan would already feel like more than we've had in a long time. So 1 large planet or 2 smaller ones, 1-2 operations, 1-2 new flashpoints, something like that. I'm sad to read about the Knights story being cut short. I very much enjoyed it, despite the obvious flaws. But now we have a big reset button with nothing... and still the same flaws. Ossus is dreadful in my opinion. Shame that you didn't enjoy it - unfortunately you can't ever please everyone. Most reactions that I've seen to Ossus were very positive though. And to me personally it was probably the most enjoyable story update since launch. But I already wrote several blog posts about that in December! KOTFE started out strong, but then kind of fell into World of Warcraft's trap of making the story entirely from the NPC's perspective. During KOTET, our characters had a surprisingly amount of small dialog. Mostly we were there to make the "O" face in reaction to what our "cool" NPC's were doing. World of Warcraft HAS to tell stories this way, since character's aren't voiced. Bioware on the other hand, already has good voice actors lined up and ready to make the "PC" the coolest "NPC". My advice to Bioware is to have our characters make plans and issue orders like someone in "our" position would. Then obviously we would handle some tasks ourselves, because we aren't "desk jockeys", we're super cool action heroes! When I first heard that KotFE was based on someone's idea for a tabletop RPG campaign, a lot of things suddenly fell into place for me. 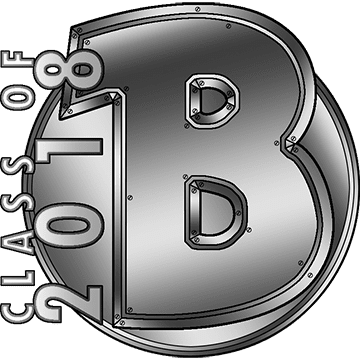 It definitely feels like the kind of story that an inexperienced GM might write while falling into the trap of making their story all about the "cool" NPCs they came up with.